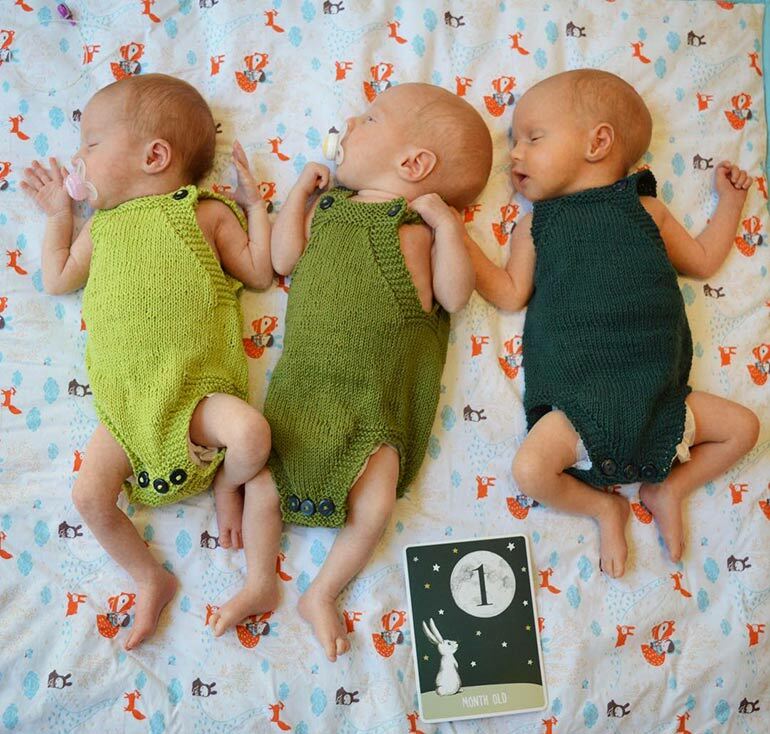 Instagram star and triplet-mama Maria Jorstad is back! This time she has taken to Instagram to share an incredibly candid shot of her body after birthing three babies. And it’s exactly what every new mum or expecting mama needs to see. And their partners too. 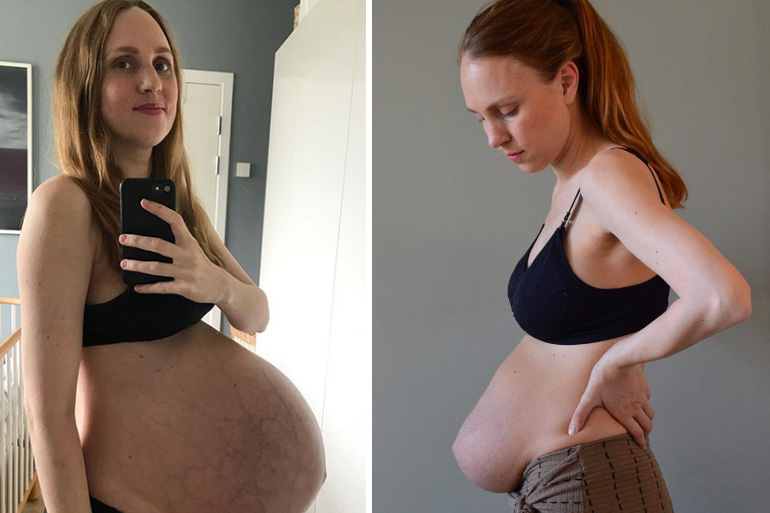 For 35 weeks Maria Jorstad not only watched her body drastically change like never before, but she documented it through Instagram. The pictures are absolutely incredible as Maria, like a modern day, non-cartoony version of Elastagirl, expands to accommodate her triplets. 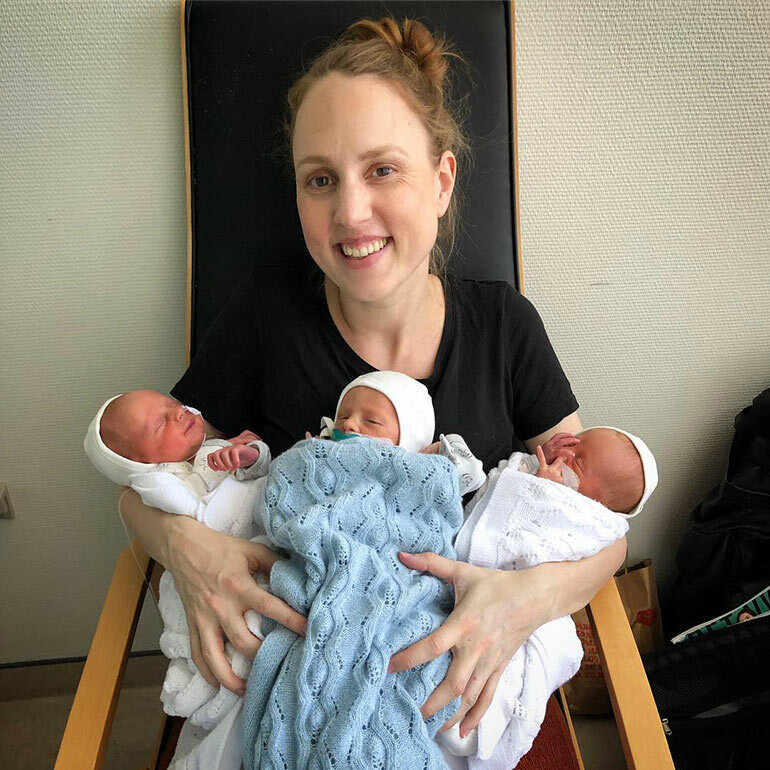 At the end of the journey, Maria gave birth to three bundles of baby sweetness – Iben, Flip and Agnes. And we all let out a collective NAWWW and felt our ovaries ache. Now, just four weeks later, Maria has shared another visually stunning pic of her belly. Returning to a similar pose as in her weekly pregnancy pics, Maria is documenting her body after triplets. She stands in a pair of loose pants and a bra, letting her post-baby belly hang out. In the world of Instagram we’re used to seeing bare stomachs. Most of the time, the tums on display are tanned, tight and toned. 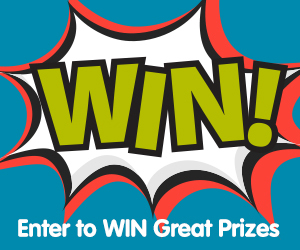 Often accompanied by a sales pitch to buy a certain product or wear a certain brand. But not this time. Maria’s body after triplets photo gives us a dose of reality and we absolutely love her for it. After growing three babies, she is a freaking legend in our minds, slightly hanging tum and all. Sure, our bodies go through hell and back for our babies. But, as Maria reminds us, four weeks after giving birth, our bodies are still recovering. And our tummies are still tired. Our bodies need time, ladies. And we need to remember this every time we look in the mirror. 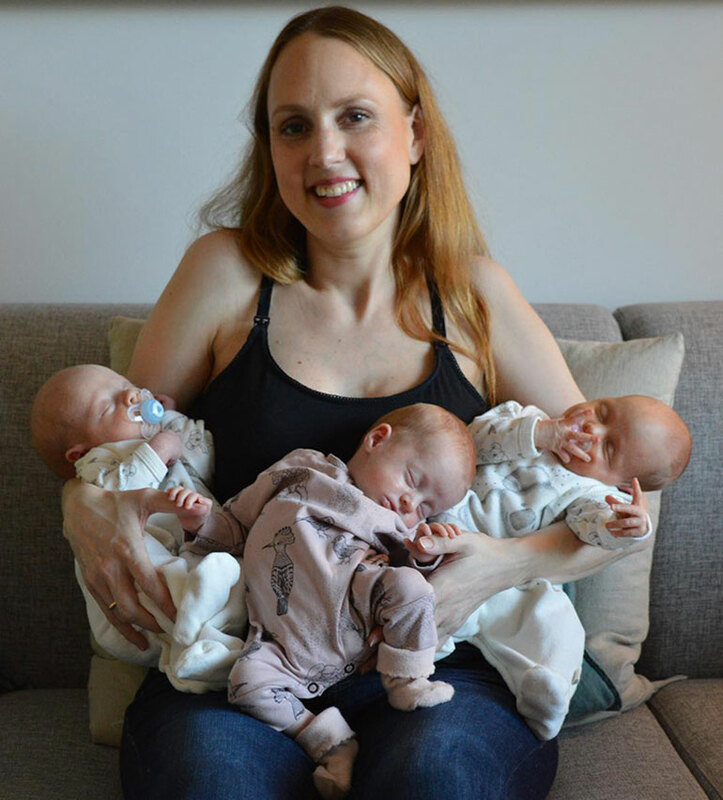 “I chose to give an honest picture on my Instagram account on how it was to be pregnant with triplet,” Maria explains to HuffPost UK. Growing three infants is insanely challenging. And we’re sure the first four weeks of raising them hasn’t exactly been a walk in the park either, especially when dealing with around-the-clock feedings (x 3) AND a c-section to recover from! We salute Maria for sharing this candid snapshot. It reminds us that, even though we mums are superhuman, we still need time to adjust and to heal. Maria isn’t the first mum to share this incredibly important notion. Have a read of this mum’s postpartum message that gives us all the feels. 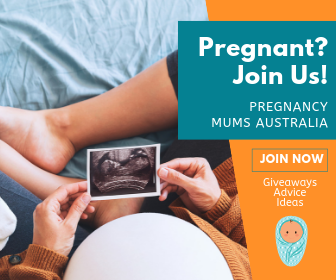 Early Labour Signs: Am I in Labour?